The Hanging Man Candlestick charting pattern is a bearish reversal signal. It is similar looking to the Hammer candlestick, with the difference being the Hanging Man comes after an advance in price, while the hammer comes after a decline in price. Since the Hanging Man candlestick is a bearish reversal signal, it must come after a rally. There is a sharp sell off after the market opens during an uptrend. However, by the end of the trading day, the market closes at or near its high for the day. This signifies the potential for further sell-offs. Since the certainty for a Hanging Man indicator is low, the trend reversal must be confirmed by a black candlestick or a large down gap on the next trading day accompanied by a lower close. Also, Steve Nison recommends that this candlestick charts pattern at an all-time high, or at least a high for a significant price move. If the open and the close are identical, the indicator is considered a Dragonfly Doji. The Dragonfly Doji has a higher reliability associated with it than a Hanging Man. As with all candlestick charts and patterns, this should be used with other technical analysis tools to further confirm its effectiveness. Learn to Find The Best Trades! 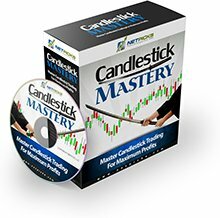 Train with the Steve Nison, The World-Renowned Father of Candle Charting! A Stock Trading Educational Masterpiece! Return from "The Hanging-Man Candlestick" to the Home Page: "Stock Market For Beginners"